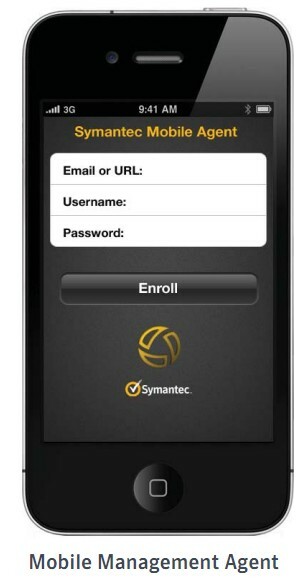 Symantec Mobile Management helps enterprises accomplish mobile business enablement objectives confidently by facilitating scalable, secure and manageable smartphone and tablet deployments. #1 Remote Assitance Remote Assistances includes screenshot, video, and macro capture capabilities. #2 Delivery and Deployment Targeted and scalable deployments are simplified with robust application delivery features that ease updating and roll outs. #3 Remote Management - Processes Remote Assistance capabilities allow customers to easily start and stop processes on a managed device. #4 Remote Management – Remote Control Control and manage a remote device just like you have direct access with the powerful remote control functionality. #5 Reports – Software Installation Summary Powerful Reporting helps IT administrators efficiently manage mobile devices, clearly understanding any changes made the managed devices and allowing for quick drill down for more details. 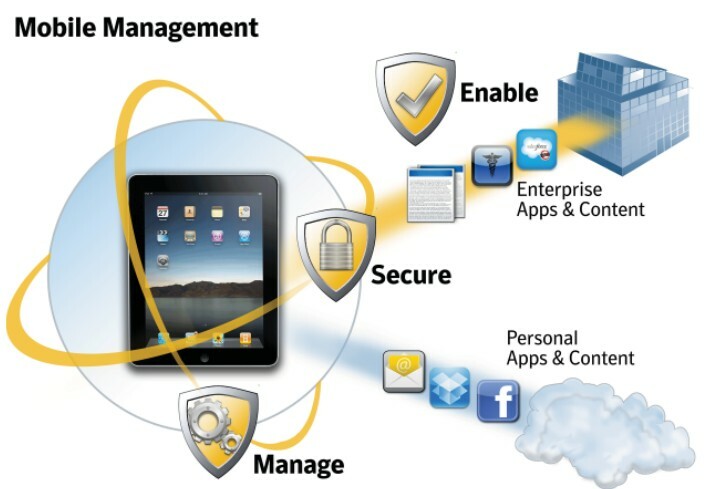 Advanced Security Settings enable enterprises to secure mobile devices regardless of ownership. Administrators can set, deploy, and update security settings such as passwords, remote lock and wipe, application, resource and content restrictions, over-the air in near real-time without user intervention. Policy settings can be targeted to an individual user/device, groups from the Enterprise Activation is a user-friendly self-service provisioning process that helps users connect their mobile devices to the enterprise network in an approved and secure way. Instead of blocking devices and encouraging rogue IT, administrators can leverage this seamless process to authenticate and authorize users’ devices to email and network services. Users can be directed to download the device agent from the public or private servers and administrators can enforce customized end-user license agreements as part of the enrollment process. Selective Secure Wipe is used for decommissioning a personal device in the enterprise. Compliance Enforcement capabilities let enterprises allow only the devices that meet the security and corporate requirements around encryption, jailbreak, and policy updates. This periodic health check enables administrators to meet auditing requirements and specify granular device hardware, software, policy, and user controls. Massive Scalability built on an industry-leading and enterprise-proven platform, globally deployed at many thousands of customers. 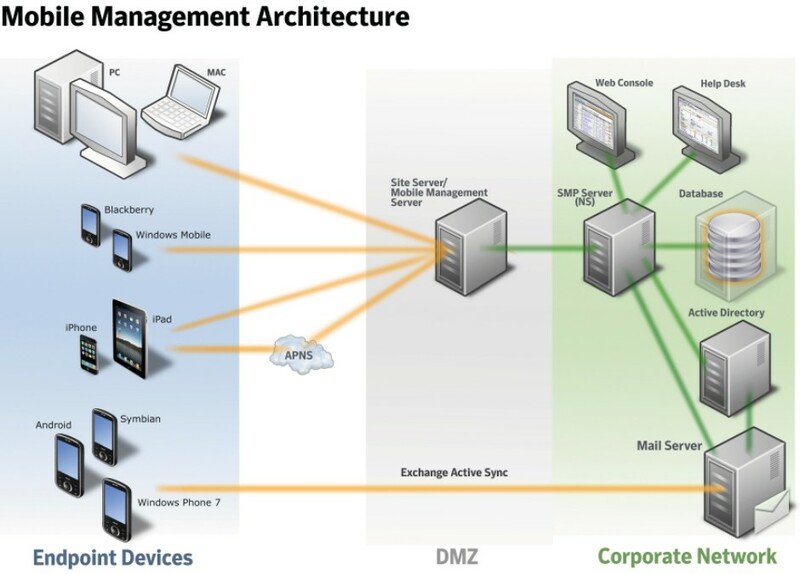 Each Mobile Management server will easily support over 20,000 mobile devices, important for future proo? ng against projected mobile adoption rates many times greater than that of PCs. Asset Reporting and Help Desk capabilities provide comprehensive device, user, and application data in near-real-time and enable an ef? cient mobile help desk.